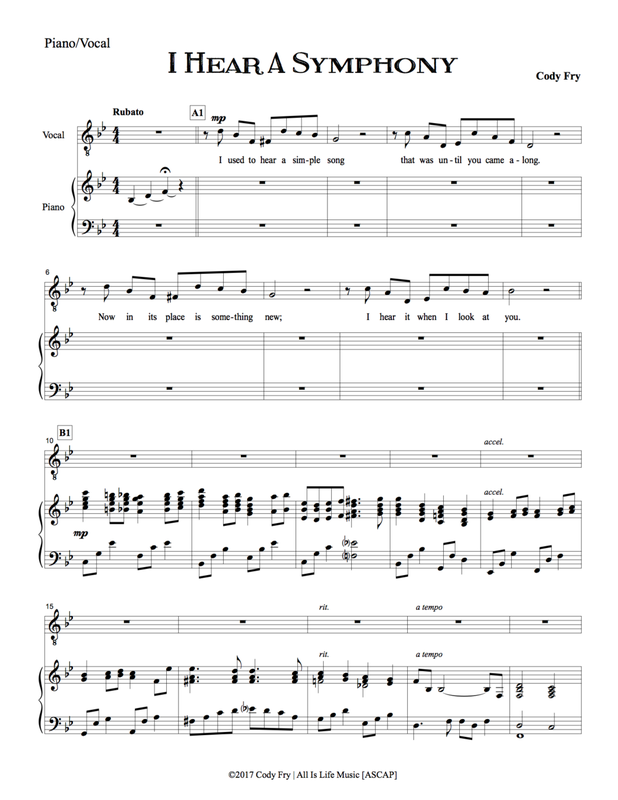 A piano/vocal score perfect for a solo performance of "I Hear a Symphony." Transpositions available for additional cost; email info@codyfry.com for details. The piano part was transcribed by Cody himself and written exactly as it was played on the album.